If you’ve been following along with this blog over the past couple months, you might know that I’ve made it a goal to start adding more of a human element to my photos. Looking back through my portfolio, I often found great landscapes, and beautiful buildings but my favourite photos had some human element melded in. And well I’m not by any means a strobist or portrait photographer, how can you call yourself a travel photographer and not take pictures of the people? 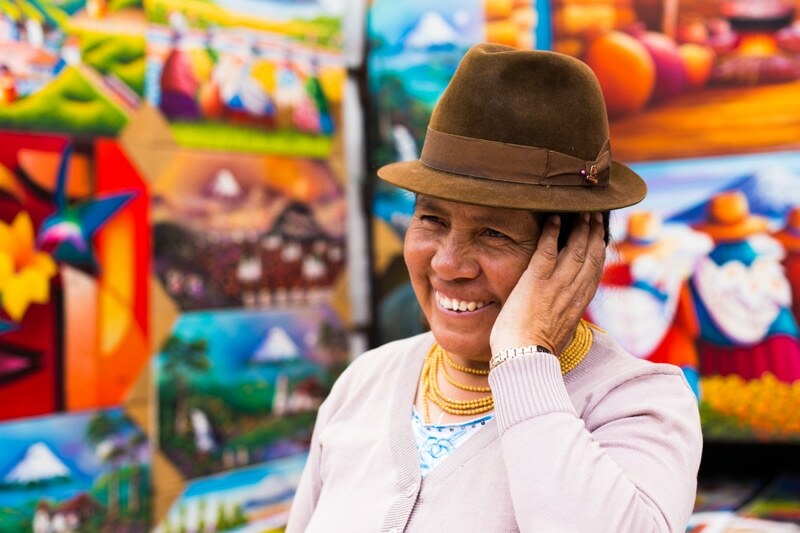 My first stop in Ecuador was the town of Otavalo. 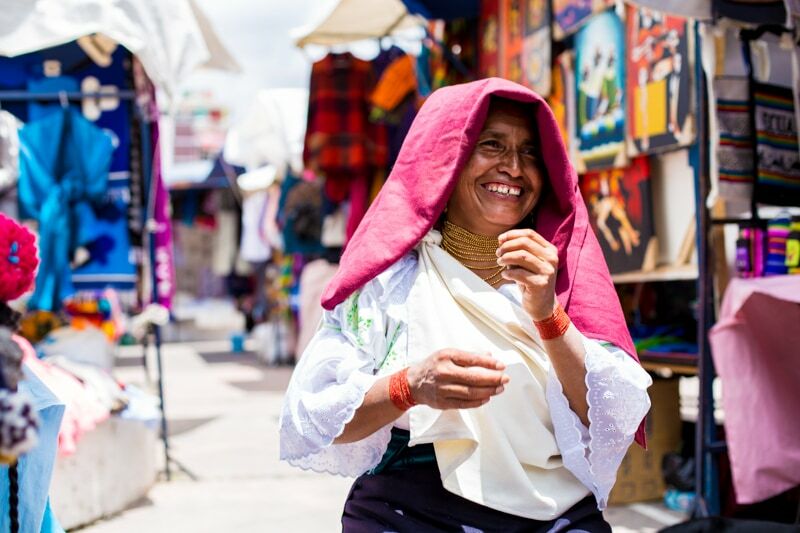 For most people, Otavalo is a day trip from Quito to visit the market. The market is fantastic. There’s lots of great products to buy, and the vendors are super friendly and incredibly laid back in comparison to other markets. So, I decided that it was a good place to test out some simple portrait techniques using no flash, reflector, or any modifer at all. I shot everything on a 50mm f/1.4 with my Canon 6D. Be Confident: Being a confident photographer puts your subject at ease. It also makes them more likely to let you take photos in the first place. I look at it a lot like asking someone on a date. You need to win their trust first, then you need to finally convince them to be your model. From there, being confident remains so important. A great photographer has a way of guiding the model into the pose and mood that they want by making the subject feel safe. Be confident, and all the rest gets easier from there on out. Be Simple: Personally, I think that in markets in foreign countries, you really need to focus on being simple. If you wander around with a giant lighting set up, a massive lens, and a team of 4 assistants, you might scare people a little bit. 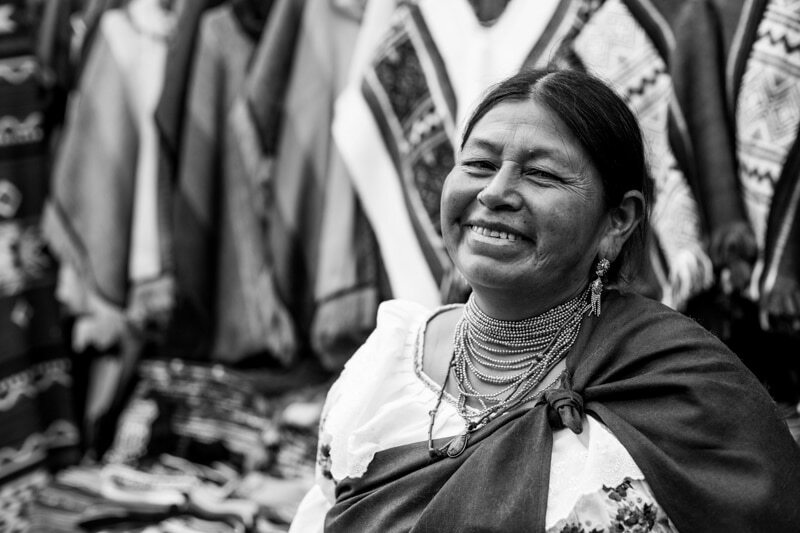 I went into the Otavalo Market with a 50mm lens on the Canon 6D. I didn’t bring a flash. The only thing I regret not bringing was a reflector. It’s easier to convince people to have their photo taken if they don’t feel vulnerable. Of course, every situation and country is different. For example, if I were in Colombia or Miami with a giant lighting set up I’m sure I would have a line-up of people. 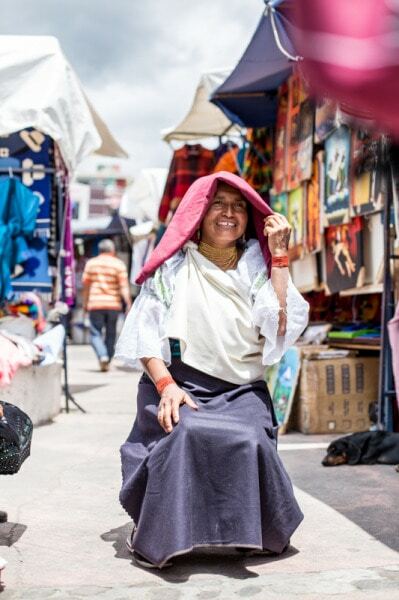 In the Andean region, where people aren’t exactly fond of cameras, you need to be simple. 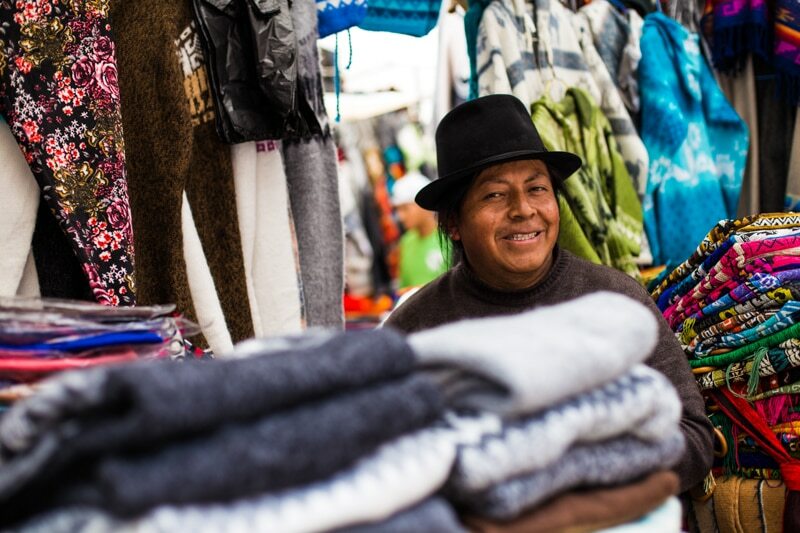 Be Quick: In a place like the Otavalo Market, you have to remember that these people are working. They can’t earn money if you’re taking up their entire day photographing them. In fact, I found that the main factor in convincing people in the market was saying “I’m only going to take 2 minutes, and will only take 4 or 5 photos”. Don’t waste the time of these people. Think About the Background: The background of a portrait is often as important as the subject itself. I found a couple of my first images I kind of blended my background into the portrait. It doesn’t leave any separation and looks flat. You need to create dimension to your images. Find a background that’s not distracting. Tell a Story: Portraits are meant to tell a story. Even if the photo is just a simple head shot, you need to have some sort of emotion on the face of your subject. If you want to put more of the subject in your frame, you need to compose the image so that the viewer knows the situation. Pretty pictures are great, but they only go so far. Tell a story with your portraits. An interesting discussion always comes up with portrait shooting in under-developed countries. Some people claim that you shouldn’t pay for photos because you can create dependency. Moreover, you may ruin it for the tourists if the locals learn that foreigners pay for photos. 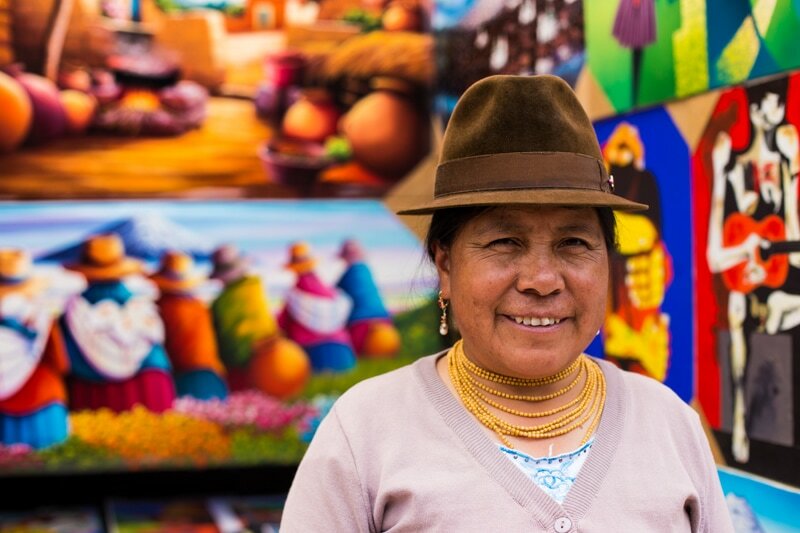 All of a sudden, any time a tourist asks for a photo of a local, they’ll say “sure, 1 dollar!”. It already happens in lots of places. I sit somewhere between the lines. I do pay for people to pose for photos for me, from time to time. However, it takes a special circumstance to make it happen. And, usually when I pay for photos, I also ask the model to sign a model release for me. If they understand that you’re paying them to be a model for professional photos, hopefully they’ll find a distinction between tourists wanting photos for their keepsakes and professionals needing photos for work. I mean, if you brought a model into a studio, would you pay them? Either way, it’s an interesting discussion. One point I should make is that I never pay children, or their parents, for photos in developing countries. Not only would I be worried about kids becoming dependent on that income, but I’d be worried about parents and guardians exploiting them for money to work posing for photos in the streets of tourist towns. 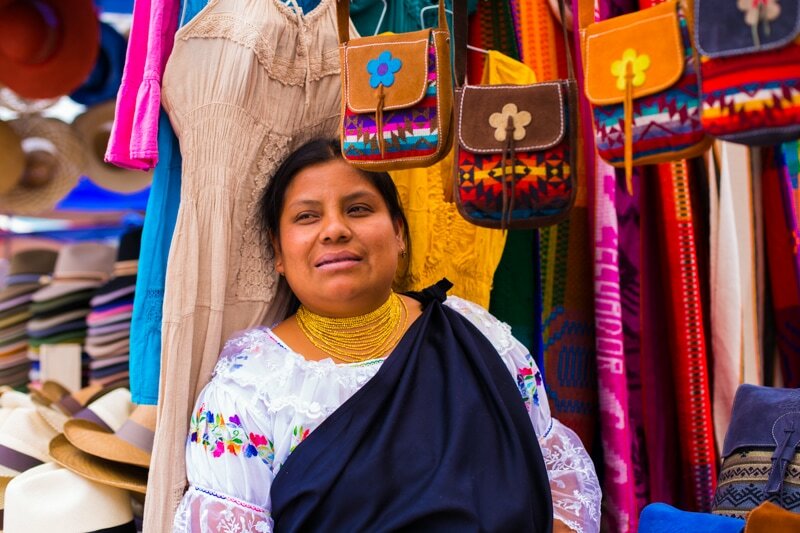 In the Otavalo market, I think I paid 3 of my models. Most of the time, I only paid if they were being really slow to agree, or if they said “I’d love to but I have to work”. In general, I paid about 50 Cents to a Dollar per model. What Settings did I use? Of course, the settings of an image are pretty dependent on the style one is wanting to portray. For portraits, I don’t have some fixed formula. In the end, it generally depends on how much of the face I want to be in focus, and how blurred I want the background. For the most part, I work between f/2.5 and f/5 with the 50mm lens. The closer I am to the subject, the higher the f-stop I use. The shutter speed and ISO will depend on how much light there is available. I’d say my average shot in the Otavalo market was f/3.5, 1/500sec., and ISO 100. All my images were taken on the Canon 50mm f/1.4 lens. I really didn’t take too many images in the market. I was focused on trying new techniques when if came to talking with models and posing them. I was really focused on not shooting lots of images, but finding ways to get them to pose, and express the mood that I wanted. 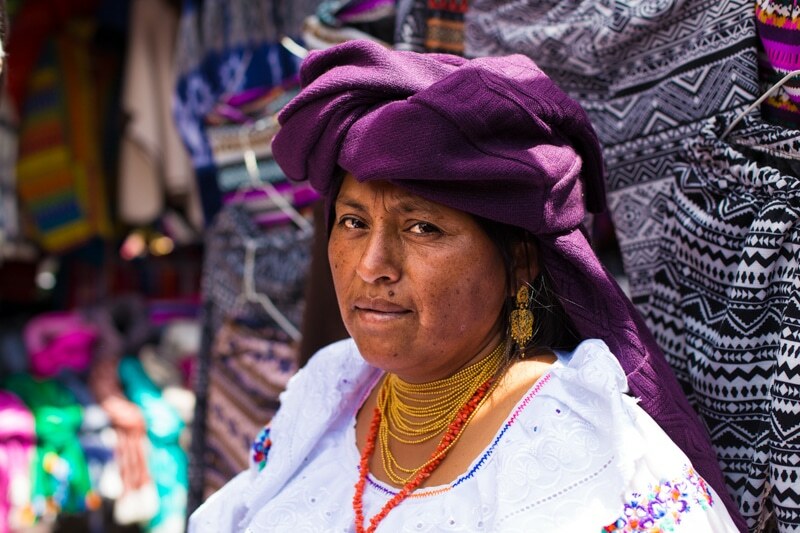 I could have likely shot portraits all day in the market, but I chose to keep it fairly light. 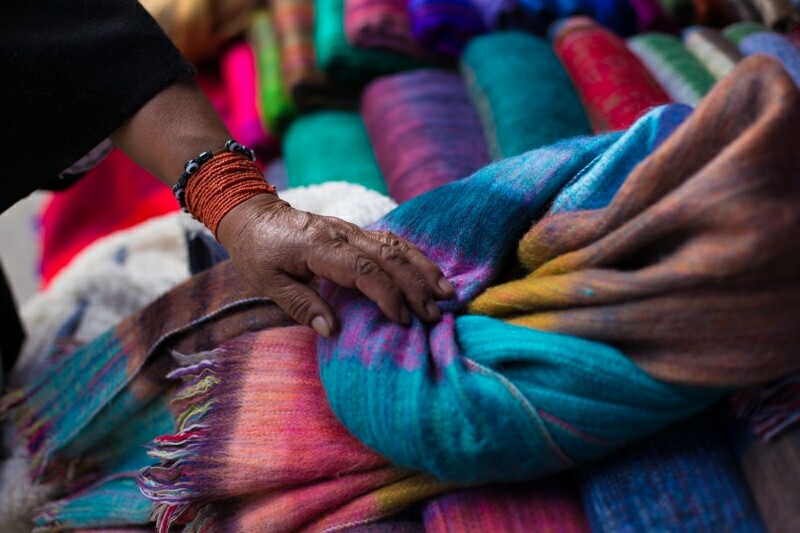 From Otavalo, we’re moving on to Baños de Agua Santa which is adventure central in Ecuador. From there, we’ve got a long bunch of highway to cover to get to Lima to start our photography workshop down there. I’ll likely also have a review of my Cactus Flash set up as well. Stay tuned! Next ArticleThe Cactus Flash: An Off-Camera Flash Game Changer? 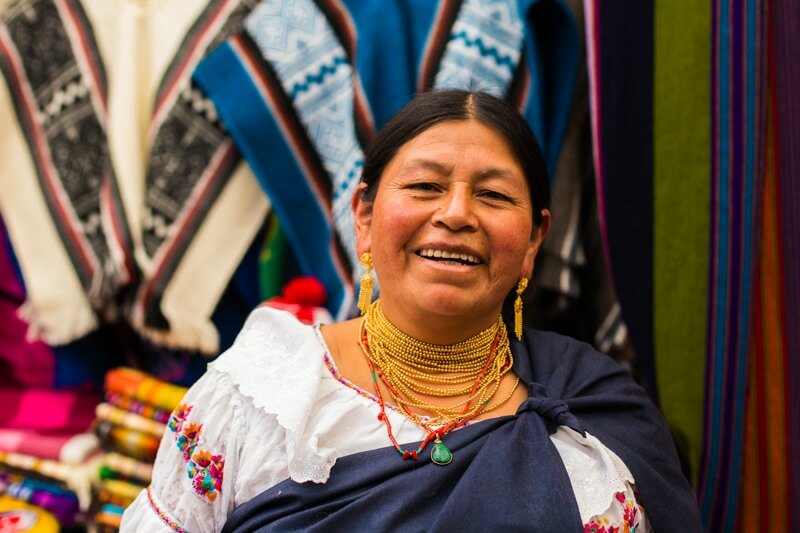 Hi my name is Gabriel I´m from Ecuador, I work with people from Otavalo selling their products to the US I´m going to make a website and was wondering if I can use your pictures. I’m afraid that without paying, you cannot use the images for commercial purposes. If you’d like to purchase imagery to use on the website, please let me know via email at brendanvanson at gmail dot com to discuss.